While nothing may ever fully replace "pencil and paper" learning, more and more educators are discovering the benefits of supplementing curriculum through online services. Applications which run through the internet (like this one) not only save your school money on test copies, they save you time. Repetitive grading of timed math tests is tedious and wastes the precious time you have for lesson planning. 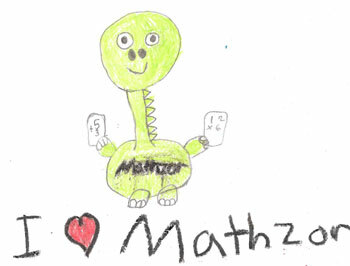 Mathzor is like having your very own, always accurate, self-grading, test-making robot. You'll love it. You can login from any internet connected desktop, laptop, or even cell phone and your data comes with you. Your students can login from the classroom, computer lab, library, or home. 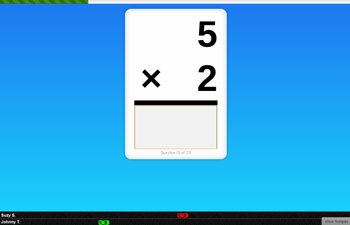 Mathzor requires no special software to run. As long as you can see this page, you're all set. Math Facts Practice: Mathzor walks students through the mastery of their basic math facts, moving them forward at their own pace. 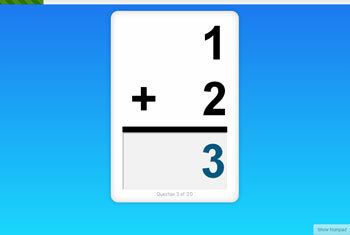 Quizzes are quick and practice sessions make for a great rotating center activity, whether on a desktop, laptop, or tablet. Logic Puzzles: Students are also able to complete tile-based logic puzzles, where they'll drag and drop numbered tiles into empty spaces on flash cards. 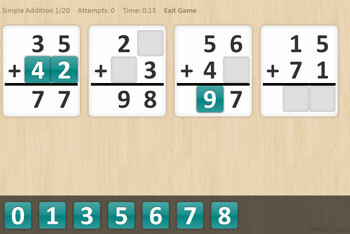 Mathzor automatically grades these puzzles as well, and advances students through puzzles of increasing difficulty. This activity is also tablet friendly and can make for a great, self-guided rotational center. Competition Mode: Building upon individual practice mode, students can also compete with each other in real-time. As they work through a mixed review quiz, their car races across the bottom of the screen. At the end of the quiz, students are ranked for both speed and accuracy. It's a great way to get your students excited about their progress. 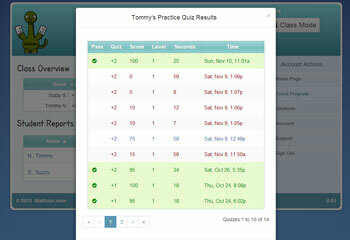 Complete Auditing: Every quiz your students take, or puzzle they complete is saved in our database. At any point, you'll be able to log in and see how your students are progressing, and identify who might need a little extra help. Math coaches can also quickly pull practice stats from across classrooms. Student approved: Mathzor has been used in classrooms across the country and its most passionate supporters are the students who log on each day. Students look forward to the class competition mode and eagerly practice at home to improve their times.